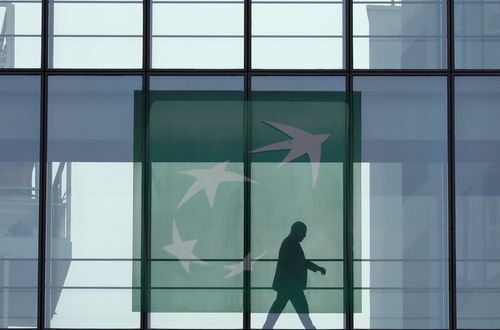 BNP Paribas offers Graduate Programmes across its main business areas in Global Markets, Corporate Banking, Financial Institutions Coverage (FIC), Compliance and Technology. At BNP Paribas successful candidates are trained to become qualified analysts not only by fulfilling their daily tasks but also by participating in cutting-edge projects with an agenda to make banking more personal and innovative. Psychometric tests are a key component of BNP Paribas Application Process. Upon filing the application you will be asked to take Numerical and Verbal Reasoning Tests. Details on psychometrics tests used in BNP Paribas Application Process can be found below. The multiple - choice BNP Paribas Numerical Test assesses your ability to evaluate, analyze, and interpret numerical information that will be provided to you in charts, graphs, and tables. You will have limited time to find a correct answer, so all the calculations like percentages, ratios, and basic arithmetic should be executed quickly and accurately. We know that you can do it, but If you really want to master the BNP Paribas Numerical Test - it can be easily learned through our online tests and video tutorials available on the website. The BNP Paribas Verbal Reasoning Test comprises of a series of paragraphs which you will be required to read and a set of questions matching the information provided in paragraphs. Your answer options will be True, False or Cannot Tell. If you are invited for the BNP Paribas Video Interview you will be provided with an access to a platform that will record your responses. This will be a standard mix of competence and strengths-based interview. You are expected to give full answers with specific examples of your achievements, as well as show that you understand well what your role will be about, and what working at BNP Paribas means. Remember to show some enthusiasm and passion! You might undergo up to three interviews with a team manager, CEO, and members of the talent acquisition team. BNP Paribas Assessment Center is usually a mix of individual and group activities. The exercises will differ depending on the job position you are applying for, but make sure you are prepared for all scenarios. BNP Paribas case study takes a form of a short presentation on a topic that you will be given a short time to prepare during the assessment center. After the presentation, you will be assessed further by the interviewers asking you questions regarding the topic of your presentation. If you are not a born speaker and feel like you could use a little bit more advice, you can check the Assessment Centre Guide, for more useful tips.